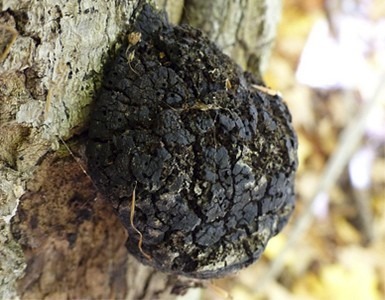 Chaga is one of the most unique and sought-after mushrooms in the world. Chaga has an extraordinarily high ORAC content, making it one of the most powerful tools against free radicals available. 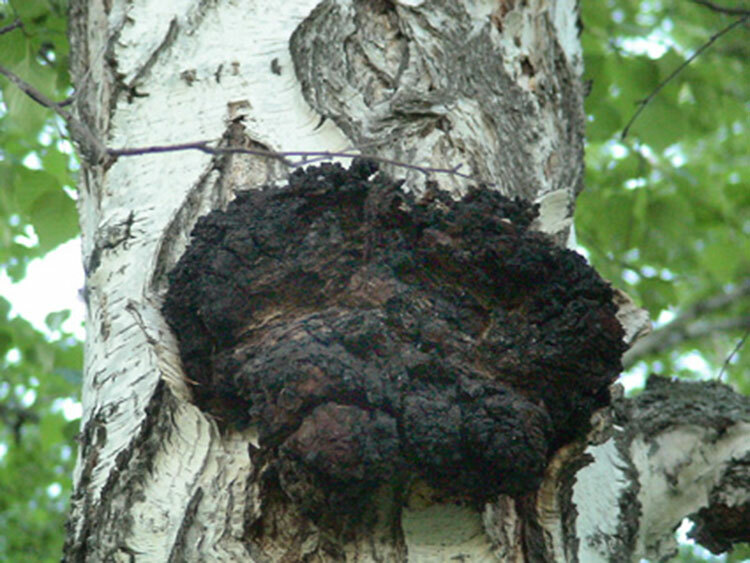 As a result of the interrelated biological processes of birch tree and fungus, the formation and accumulation of biologically active substances occurs and causes the unique therapeutic properties of Chaga. Many different components contribute to the uniqueness and efficacy of Chaga. You can find a mountain of basic information about Chaga on the internet, including its classification as a parasite on birch trees and descriptions of how it looks like burnt charcoal, but there is very little useful consumer information regarding how the individual components of Chaga work. “Phyto” is the Greek word for plant. A phytonutrient then is a nutrient that comes from a plant. Also known as phytochemicals, phytonutrients are nonessential nutrients. This means the body does not require them to sustain life, but phytonutrients are important to overall health. Polyphenols, also known as secondary plant metabolites, are naturally occurring organic compounds found primarily in fruit and vegetable plants. Many whole foods are rich in polyphenols, including Chaga mushrooms, onions, apples, red grapes, strawberries, raspberries, blueberries, cranberries, and certain nuts. Some processed foods, such as tea, red wine, and grape juice, contain polyphenols. Scientists have performed a considerable amount of research recently regarding the effects dietary polyphenols have on human health. They have thoroughly studied the effects of polyphenols on dangerous free radicals but it is clear that polyphenols do much more than just reduce oxidative stress. For many years, scientists thought that polyphenols protected cells against oxidative damage by hunting down free radicals. Free radicals are unstable groups of atoms that try to steal electrons from nearby atoms to stabilize themselves, a process known as oxidation. Scientist thought polyphenols worked to reduce this electron theft, an action known as anti-oxidation. Subsequent research shows these early concepts to be an oversimplified view of polyphenols action. Polyphenols are essential to communications between cells. Body cells respond to specific “messenger” chemicals in the body. The hormone insulin, for example, tells muscles to take up sugar from the blood for energy. Polyphenols work as messengers to tell multiple cells to change their oxidative status, an action known as redox status, to achieve widespread protection against free radicals. The current thinking is that polyphenols interact with enzymes or bind to receptors on the surface of cells, similar to boats at a dock. The presence of polyphenols causes a change in redox status in the cells it contacts and may even trigger a series of redox reactions. In this way, polyphenols may improve cell survival. Phenolic compounds (tannins) – tanning substances are capable to partially coagulate protein, thereby forming a protective layer on the mucous membranes and the skin. This new understanding of how polyphenols work has generated quite a bit of excitement among healthcare professionals, with the greatest interest coming from those in the food and nutritional supplement industry. 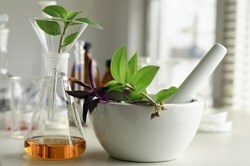 Consumers now eagerly await the development of polyphenols-rich products. Chaga is high in flavonoids, the largest group of phytonutrients. Types of polyphenol, flavonoids are powerful antioxidants with immune-boosting properties. Diets rich in flavonoid-containing foods are also associated with skin protection, healthy blood sugar and blood pressure management, and brain function. We submitted our Siberian Chaga extract powder to Brunswick Laboratories for total phenolics (TP) testing. 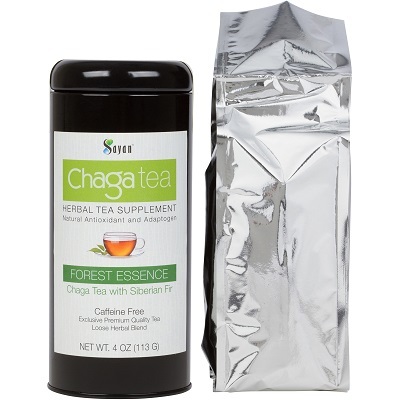 The results proved Chaga’s very high ORAC content. TP testing is an accurate analysis that measures the ability of Chaga to cause a change in redox status. Using the FC method, like that used at Brunswick Laboratories, scientists report TP levels in milligrams per gram of gallic acid, or mg/g. Higher total phenolics scores indicate greater availability of anti-oxidizing agents in the product, while lower scores indicate weak ability to reverse oxidation. As you know chaga is a mushroom that grows on birch trees. From these birches, the mushrooms absorb betulinic acid that gives Chaga additional qualities not found in other foods or mushrooms. Betulinic acid is found in the bark of several different plant species but principally in the white birch (Betula pubescens), from which betulinic acid gets its name. Scientists have recently discovered betulinic acid’s inhibitory effect on topoisomerase, an enzyme that regulates the over-winding or unwinding of DNA. Betulinic acid also optimizes the immune balancing properties of polysaccharides. Contrary to popular belief Chaga mushroom doesn’t have a lot of betulin or betulinic acid. The concentration of betulinic acid of Chaga is low, so it offers only a supportive role in Chaga’s many benefits. Usually concentration of betulinic acid in wild harvested chaga is less than 1%. β-Glucans (beta-glucans) are polysaccharides of D-glucose monomers. Scientists refer to β-glucans as the “biological response modifiers” because of the way β-glucans activate the immune system. Chaga mushrooms contain these beneficial β-glucans. Studies show that superoxide dismutase (SOD) acts to reduce oxidation and neutralize free radicals. Currently, researchers are investigating the potential of SOD as an anti-oxidation tool since scientists already know that SOD levels fall as free radical levels rise as the human body ages. Brunswick Laboratories tested our Siberian Chaga extract powder and sent back very high superoxide radical scavenging capacity (SORAC) scores. Scientists discuss SORAC scores in terms of micromole of Troxel equivalent per gram, or µmole TE/g. Higher SORAC scores indicate greater capacity to scavengem or hunt down, free radicals as compared to lower SORAC values. In the human body, melanin is a complex polyphenolic compound responsible for pigmentation of the skin and hair. Found in almost every organ of the body, it also supports healthy brain and nerve function, eyesight, and cell reproduction. In chaga, melanin is responsible for the mushroom’s signature dark color, signaling high levels of the pigment. Because melanin can support absorption and dissipation of up to 99.9% of UV damage that comes into contact with your skin, consuming chaga promotes slowed premature aging of the skin and enhanced DNA protection. By stimulating the growth of melanocytes, which are melanin-producing cells, chaga helps your body maintain adequate levels of this essential compound. Potassium’s main function is to maintain fluid and electrolyte balance in the body. This nutrient also aids normal body growth, alkaline adjustment, skin health, kidney function, protein synthesis, and detoxification. Potassium-rich chaga helps you fulfill a good portion of your recommended daily 4.7 grams. Magnesium aids in the proper function of multiple bodily systems, including muscular, nervous, and digestive. Also serving a leading role in more than 300 enzymatic reactions within the body, magnesium helps the body metabolize food, synthetize fatty acids and proteins, generate energy, regulate healthy blood sugar levels, and protect cells from oxidative stress. Iron is elemental to hemoglobin, which is a major component of red blood cells. Accounting for 70% of hemoglobin, iron helps transfer oxygen in the blood from your lungs to your tissues. Without calcium, your skeletal system would not support your body weight. Over time, the amount of calcium starts to decrease in the human body, making it a necessity to up the levels of this mineral over time. Manganese naturally produced in our bodies in very small amounts, this element is critical for supporting the skeletal system, including healthy bone structure, bone metabolism, and creating essential enzymes for building bones. Other benefits include connective tissue formation, calcium absorption, thyroid gland hormone function, and healthy blood sugar regulation. By now we know that chaga has unique benefits that can assist with our general health and wellbeing. With this knowledge, we can start to break down some areas of concern that many of us share. And we can target those areas with confidence. Our skin, as an example, is one area commonly found to cause issues for people. Let’s see how chaga may help. Our skin, as our largest organ, takes on a lot of burdens. When you think about it, we may inadvertently be damaging our skin due to simply not knowing what a protector it can be. They say our eyes are the mirror to our souls, but our skin can also reveal a lot about what may be happening within. Some skin conditions may arise through no fault of our own including hormonal imbalances. But many of us are guilty of neglecting this vital part of everyday health. From overexposed to UV rays, consuming foods and using products that cause irritation, itching, and inflammation, we can at times underestimate our skins sensitivities and trials. It is not just the physical aspect of us that can be affected by problem skin. The emotional and psychological effects of chronic skin conditions can be a real threat to our inner well-being. How Can Chaga Help Benefit Your Skin? Don’t think you need to have boxes of supplements and commercial products to target any skin problems. Simply consuming chaga tea is still a great start. Properties assisting your skins ability to glow and exhibit wellness are found in its combination of antioxidant, and vitamins inclusive of the B group of B1, B2, and B3. In addition, this wonder herb contains Vitamin K, D2 and Zinc, especially great for skin health. Chaga’s anti-aging properties, anti-inflammatory compounds, and polysaccharides help lubricate the skin. It all assists with our immune and nervous systems to partner with the sole aim of defense. If you look to target your skin topically, there are certainly chaga solutions to suit everyone. 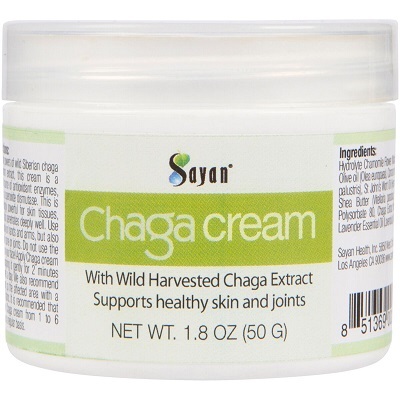 Try chaga cream for a penetrating solution for aching legs. You will find your skin feels great while helping with toning. Massage into your skin for the added benefit of a brilliant way to aid in relaxation. If personal care for your skin, combined with everyday use is your goal, then add a chaga soap to your regime. Regular commercial soaps can strip the skin of oils leaving ongoing irritation that hard to get rid of without medications. All the products available for your skin hold the same beneficial ingredients, they are simply geared to differing needs and lifestyles. If we begin to pay a little more attention to our skin, we are on our way to understanding the functions it provides for essential health. Introduce chaga to help with problematic skin or simply to enjoy the soothing benefits this ancient mushroom can give. From a dabble into new and exciting natural products available, to a real commitment to changing your health, chaga and its products can offer something for everyone. See for yourself how chaga can benefit your skin. Sometimes our everyday routines fail us in terms of our nutritional intake and what we eat is not always the healthiest option. What we now know, however, is there can be some hidden nutritional help in all our lives. This help comes from including those foods and beverages that assist our bodies to use and retain essential nutrients…like chaga mushrooms Our good health depends on it. Here are three reasons you should be eating chaga mushrooms. Antioxidants receive a lot of press; with some saying they are the darlings of better health. That is a lot to take on, but do we really need a superhero? The consensus is a resounding yes. The effect that antioxidant-rich foods can have on our bodies is quite amazing. It is a defender from start to end, but how do we get enough? Chaga may just be what we all need to obtain a decent amount of antioxidants. The aim here is to keep away as many nasties as possible. Free radicals are now proven as the antagonist to our ongoing health, so antioxidants must be taken seriously when preparing to retain complete health for us all. All anyone can do is try to have an intake sufficient for the antioxidant element to do what it is intended, but with ORAC levels of the highest order, chaga continues to blow many other supplements out of the water. Continuing with the ‘anti’ theme is chaga’s usage for anti-fungal and anti-bacterial assistance. These two, in conjunction with their more famous counterpart, ensure chaga not be overlooked. Nutrients are abundant in chaga. Beneficial vitamins and minerals are present but the advantages do not stop there. An immune system regulator with over 20 kinds of beta-glucans, chaga is a master at brandishing a sword and willing to fight off anything harmful. Our immune system is like a shield and if something affects it, it becomes difficult to sustain protection. Chaga can assist our day-to-day functions by giving us the nutrients to help our bodies deal will illness both chronic and short-term. The are many ways and reasons to bring chaga into your life. Often the one thing we forget, however, is the worth chaga brings to the body on a spiritual level. Try a calming tea at the end of a busy, demanding day. Allowing your mind to calm and your body to rest is extremely valuable for continued health. We all need a little more balance in our lives. Start with chaga. Whatever the reasons, our food consumption is not always in line with ongoing health goals. When those times arise, we can still supplement the foods we are consuming with the things that will forgive us for such transgressions. Introducing chaga mushrooms into your life can bring you all of the things mentioned and more. 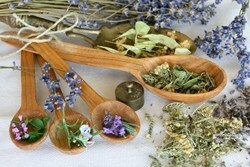 Look for a great supplier that offers advice, knowledge and a passion for this kind of herbs. It is through confidence in your supply that will remove any hesitation, or anxiety when wanting to add a natural supplement into your health regime. Knowing you are doing a good thing for your body is half the battle. Of all the things we know that chaga can bring to our health and wellbeing, along comes another, in the form of melanin. This amazing compound is a material that our bodies produce that effects the color of eyes, hair, and skin. So the less melanin in our bodies, the fairer your skin will be. How our skin looks are not the end of melanin’s involvement. This compound is a protector of sorts, and among other essential nutritional benefits, can help with the harmful effects of the sun on our skin. So how do we get more of this naturally occurring superstar? Boosting our levels is a simple process without hardship or question. Lucky for us, we simply need to continue to do what we’ve always known to do; consume the King of herbs, Chaga mushroom. The chemicals found in the Chaga have been known to encourage the growth and production of Melanin our bodies. Chaga holds a prominent natural source of melanin beneath its knowing surface, hence the good news is that with regular usage, the melanin levels in our skin can increase over time to even further protect us. We often look for a cosmetic remedy in the form of store-bought lotions, and creams to assist with making your skin look and feel better. The other solution may be fine but you could be adding chemicals and preservatives to your skin that are not beneficial. Especially if you have problem skin, Chaga tea inflammation reduction on challenging areas can be seen with regular consumption. Be sure to take advantage of chaga’s willing and welcoming antidote as a soothing anti-inflammatory solution. Consuming an alternative solution that not only works for your skin, but the immune system and overall health and well-being are the smart way to go. Those with fairer skin and eyes, an indicator of less melanin, can be subject a variety of health challenges. Vision problems and susceptibility to skin diseases and associated conditions may occur. This, of course, is through no fault of their own. But a need to counteract and shield ourselves from potential threats increases a need to be ever-mindful of having a supplement to assist. Having chaga extract as a regular health companion will offer you defense for bacterial and immune system concerns. Whilst this chaga tea inflammation solution will offer a skin remedy with real results present. So we are now introduced to wonder that is melanin. Not only a protector in the first instance but with an inbuilt gift of further protection as we incorporate into our diets the greatest supplier, chaga. So don’t just keep chaga to yourself. Have a chaga High Tea party with your family and friends to spread the word. We need to say a big Thank You to the chaga mushroom. Now with the added beauty of its stored melanin, chaga has brought us another level of already cherished natural and revered secrets to our skin’s potential. It is our very own health enhancer. Is there anything this wonder supplement cannot do? Your heart is the most important muscle in your body and if you don’t take good care of it, your health will eventually fail. A healthy heart will help prevent cardiovascular disease as well as related ailments such as hypertension and high cholesterol. There are four primary ways to lower health risks to your heart. Clean eating helps! Fresh fruits and vegetables, as well as lean meats and dairy, are important components of a healthy diet. And contrary to popular belief, certain types of fat can be good for you. Monounsaturated fats, like those found in olive oil, avocados, coconut oil, and nuts are excellent for heart health. Limiting refined sugars as well as hydrogenated oils and trans fats is another important step in your diet. Omega 3 fatty acids found in fish like salmon and mackerel help limit cell damage in the heart. Cardio exercise is essential for boosting heart function and blood circulation and also increases oxygen levels in the blood. Walking, dancing, jogging and bicycling are great forms of cardio exercise. At least 30 minutes a day, three to four times a week is optimal. Of course, if you have not exercised in a long time, slowly work up to a routine to avoid injury. Stretch before and after exercise and always stay hydrated. Excessive weight, stress, alcohol, and smoking all are major contributors to cardiovascular disease. As well as related conditions like high blood pressure and high cholesterol. Maintaining a healthy weight is important for good heart health and diet and exercise can help. Because alcohol can leach nutrients from your body, limiting intake is important. Reducing anxiety and stress is essential. As well as quitting smoking and avoiding second-hand smoke.